Telangana Police Constable Result 2018 – TSLPRB Pre Merit List Result 2018 will be uploaded soon by Telangana State Level Police Recruitment Board (TSLPRB) on its official website which is www.tslprb.in. The candidates who wrote the exam for Police Constables posts will be able to check their result by meeting the official website of the organization. Police Constables Exam has been conducted by Telangana State Level Police Recruitment Board (TSLPRB) at the various exam centers. The authority has conducted the exam to provide 16925 Posts of Police Constables for Telangana State Police. A huge number of contestants have applied and appeared for the preliminary exam which was held on date 30 September 2018. 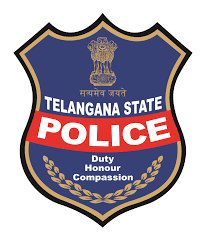 Telangana State Level Police Recruitment Board (TSLPRB) has released the job notification for the recruitment of 16925 Posts Police Constables. The candidates who had performed in the exam can receive the cutoff marks and merit list through the official website of the organization. The result has a pivotal role in the selection of the posts. To hire candidates for the post the organization will conduct a preliminary exam which would be a multiple choice objective type. Based on the performance in the PWT candidates will be forwarded to the next stage.